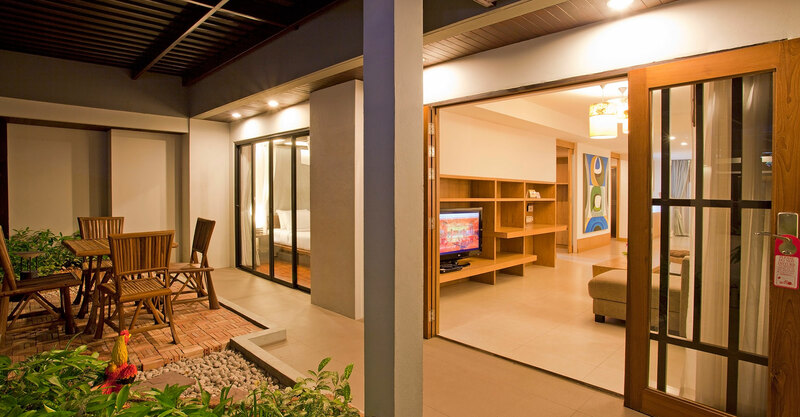 Simply Be Home at Areca Lodge Situated in the heart of Pattaya City which embraced by lovely tropical garden. 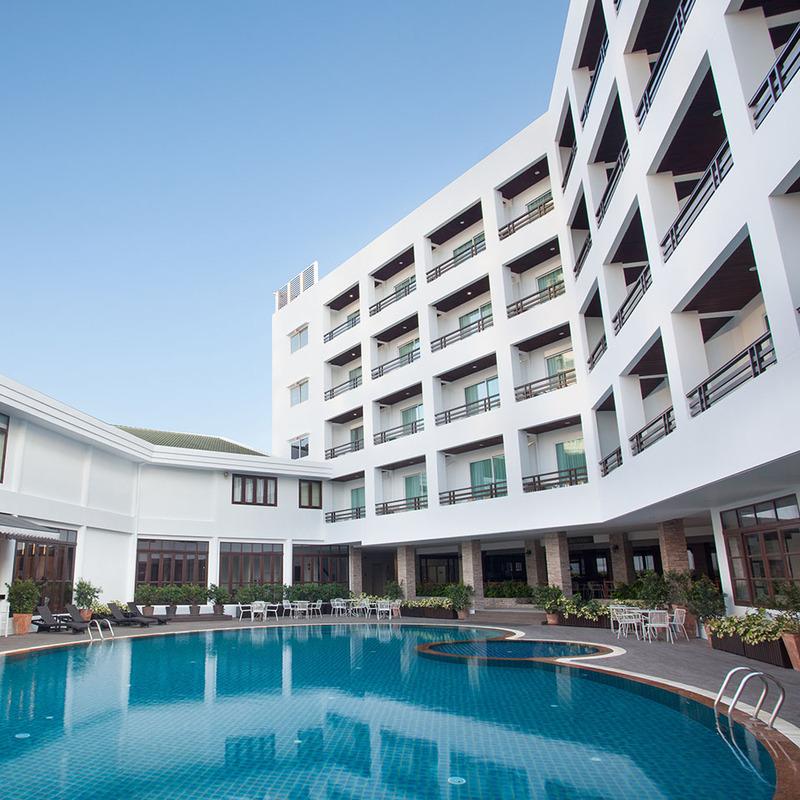 Areca Lodge is situated in the heart of Pattaya City which embraced by lovely tropical garden. 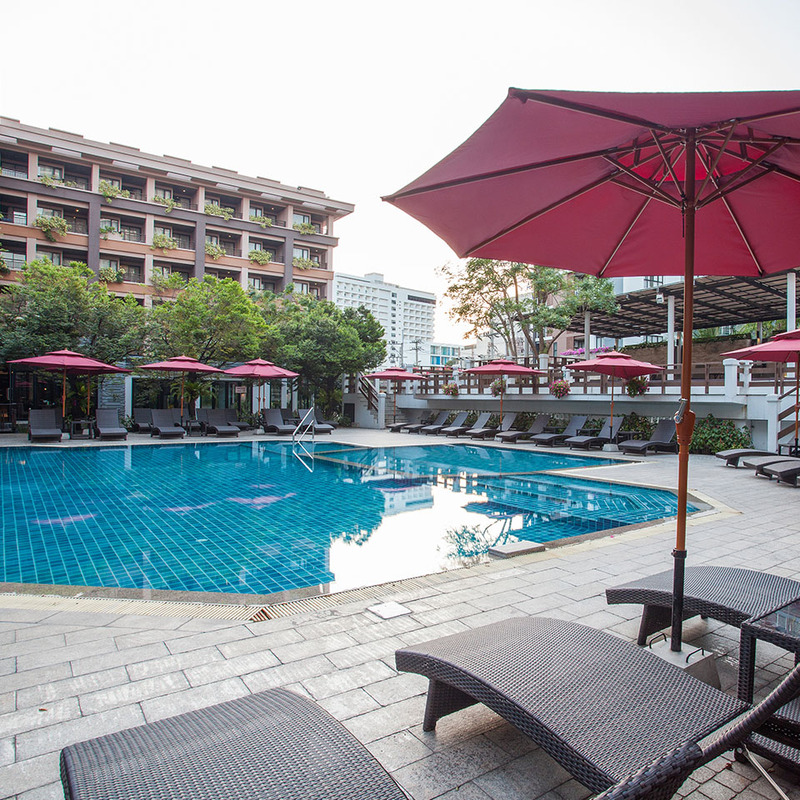 Its convenient location allow guests to move around to find outside hotel activities; shopping plaza, bars and restaurant. Totaling 216 units, all rooms and suites await for you at 3 buildings which comprises of Areca, Corona and Evergreen Towers. 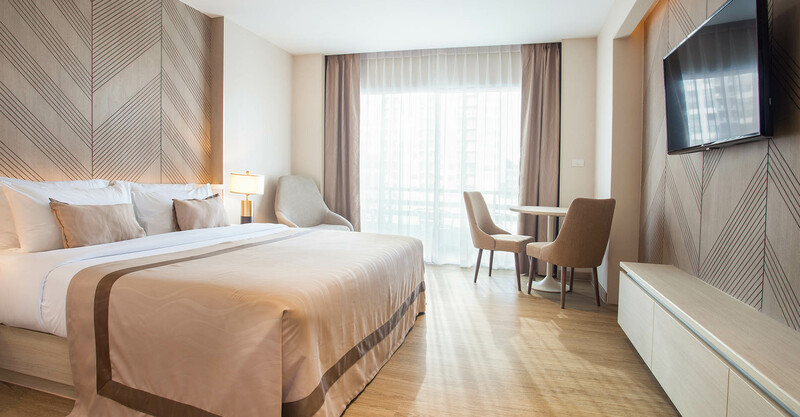 Each room type has various floor areas starting from 32 to 120 square metres. 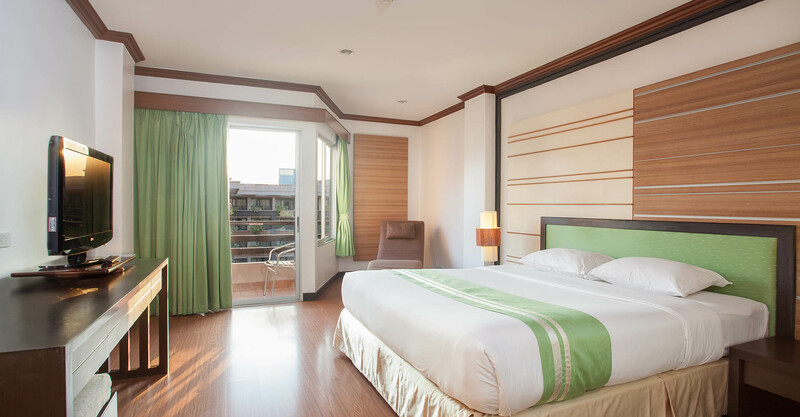 All bedrooms are carefully constructed, suitable for a single and a couple alike. 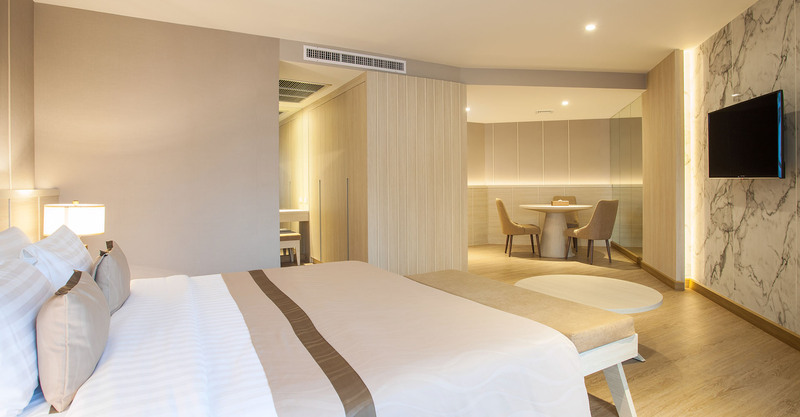 Full range of in-room amenities are provided for guest to feel the comfort and relaxation. 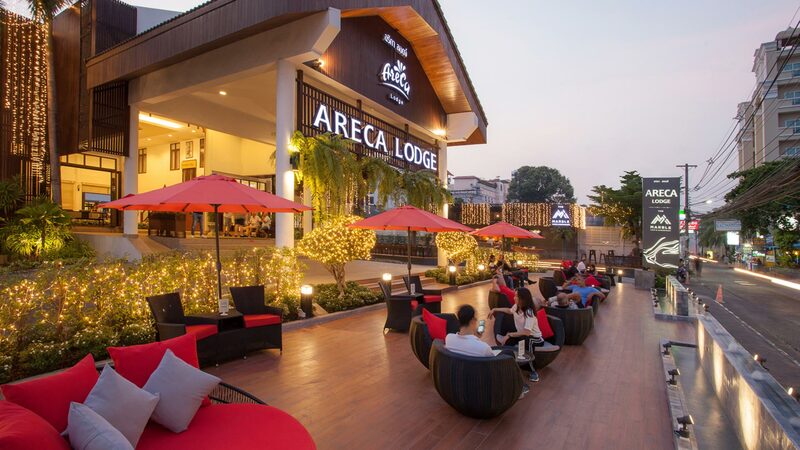 Areca lodge comprises 2 big outdoor swimming pools with built-in Jacuzzi for your own pleasure. 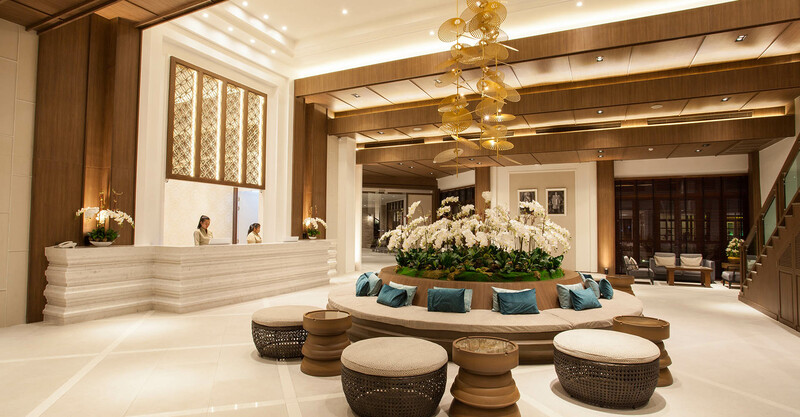 Other hotel facilities such as Spa & Massage service, hair lounge and 2 fitness rooms are featured. 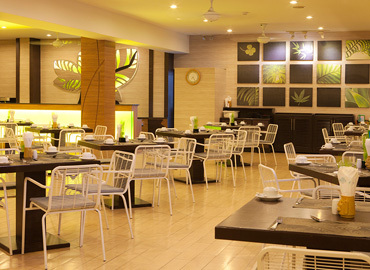 The hotel also provides you with free parking space as well as free internet access with hi-speed internet. 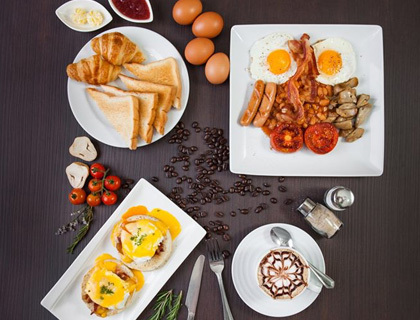 Your smooth and delighting dining is also absolutely ensured by the hotel’s attentive staffs. 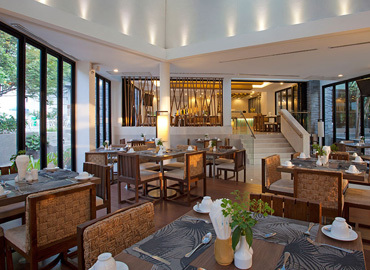 Areca Lodge have a wide range of food & beverage outlets to serve guest for different dining atmospheres. 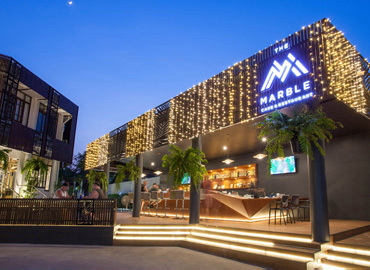 Enjoy a night life at the hotel bar opening from evening time, Beer Garden & Beer Court would be the place for you to drink the night away. 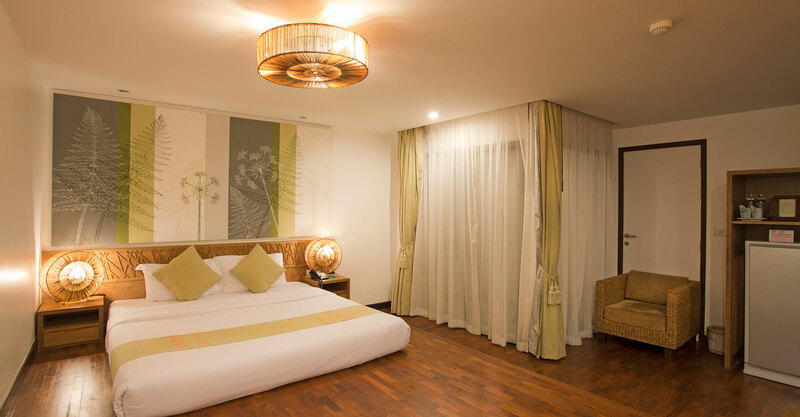 A variety of 216 stylish rooms and suites await for you at Areca Lodge, which comprises of Areca, Corona and Evergreen Towers. 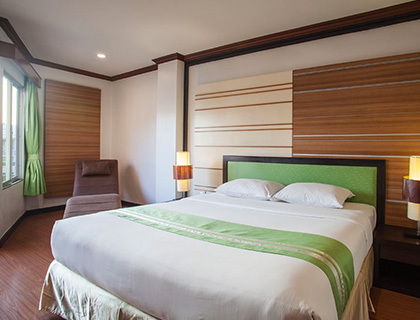 All designed with comfort in mind to give our valued guests a true sense of home away from home. Non-pool view room with twin bed or double bed. Standard facilities with complimentary tea and coffee. Pool view room with twin bed or double bed. 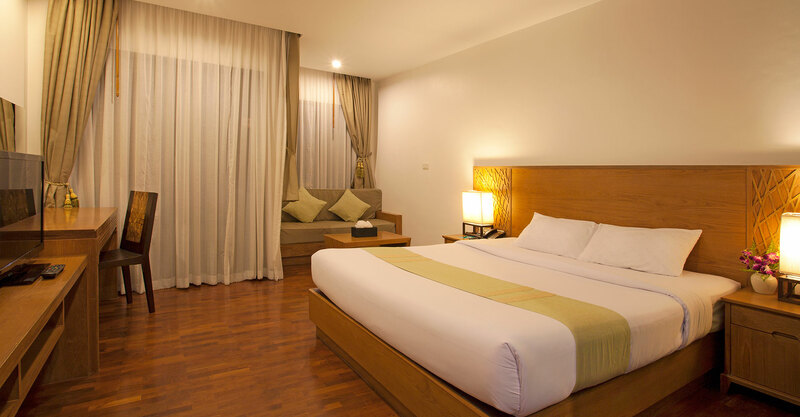 Spacious area with full range of in-room amenities. 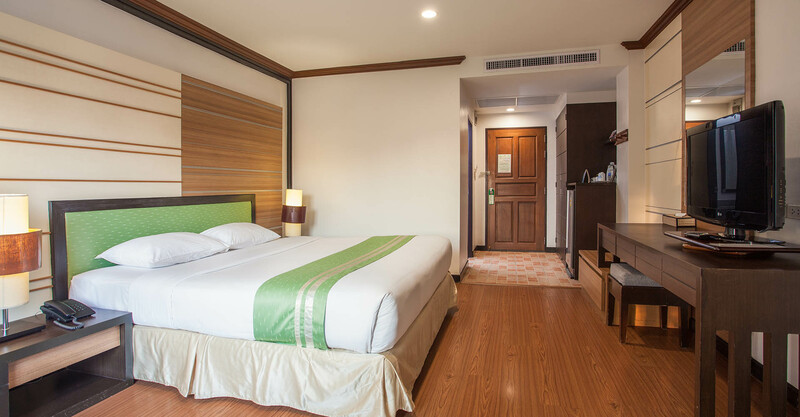 Comes with king sized bed and full range of in-room amenities. Pool view bedroom with standard electronic appliances. 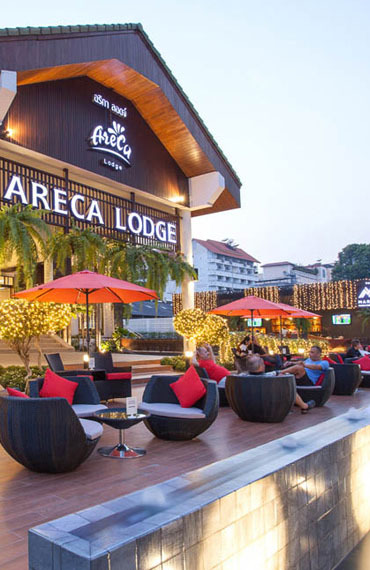 Areca lodge comprises 2 big outdoor swimming pools with built-in Jacuzzi for your own pleasure. 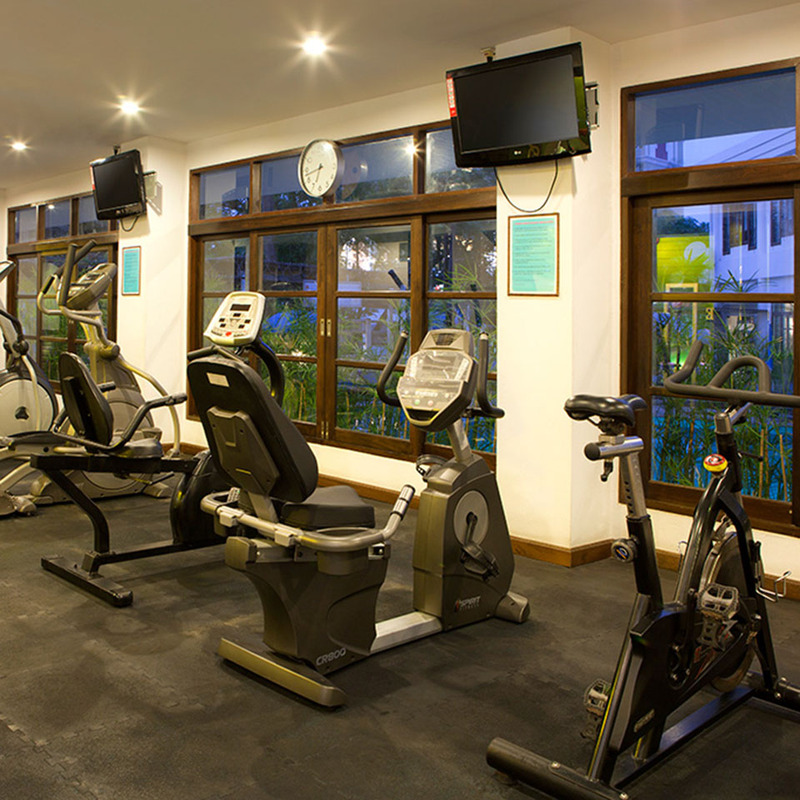 Other hotel facilities such as Spa & Massage service, hair lounge and 2 fitness rooms are featured. 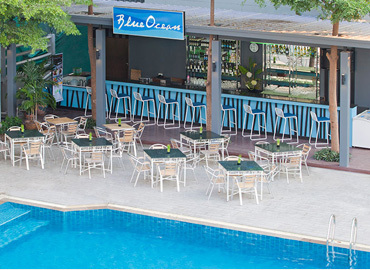 The hotel also provides you with free parking space as well as free internet access with hi-speed internet. HOURS : 08.00 – 20.00 HRS. HOURS : 10.00 – 20.00 HRS. HOURS : 10.00 – 19.00 HRS. HOURS : 9.00 – 24.00 HRS. 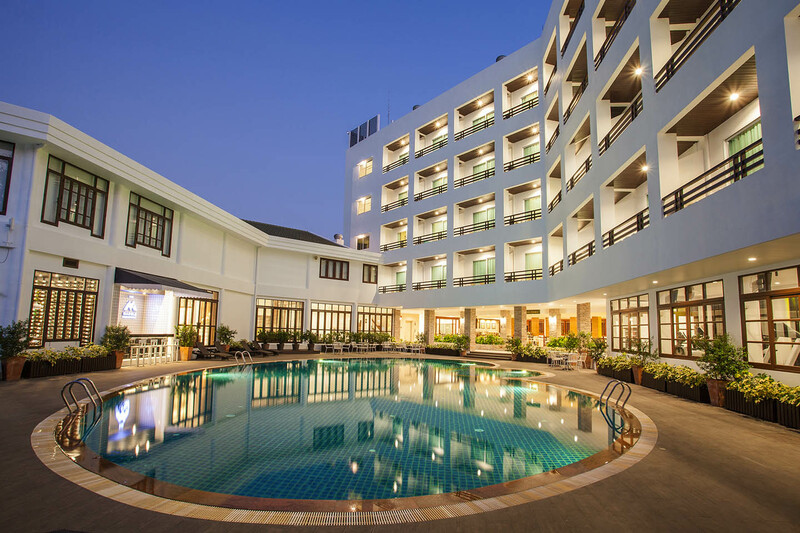 Areca Lodge is situated in the heart of Pattaya City which embraced by lovely tropical garden. 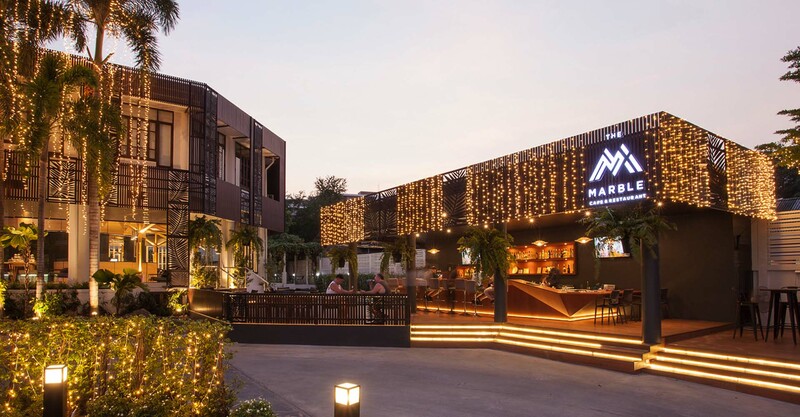 Its convenient location allow guests to move around to find outside hotel activities; shopping plaza, bars and restaurant. Transfers are available on request. 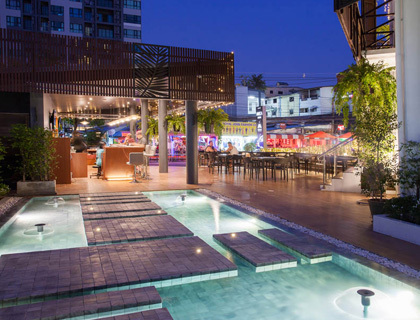 By Car Suvarnabhumi Airport is 40km closer to Pattaya than was Don Muang Airport and doesn't require driving through Bangkok to reach the seaside resort. This makes the option of renting a car to reach Pattaya more attractive than in the past. By Bus Most people departing Bangkok for Pattaya use the bus. The most frequent departures are from the Eastern Bus Terminal located adjacent to the Ekkamai BTS station on Sukhumvit Road at Soi 63 (Soi Ekkamai). Air-conditioned buses leave approximately every thirty minutes between 05:20 and 23:20 each day and cost B117. 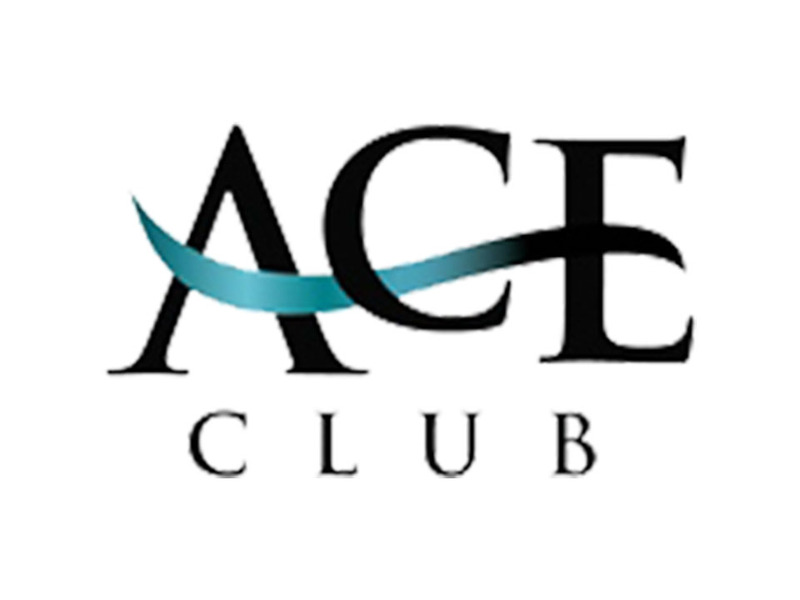 © 2018 www.arecalodge.com. All rights reserved.